At the genesis of my creative journey, normal and ordinary was not on my creative palette. I liked the raw look of paper therefore started tearing away the edges. A few years later, the idea of a raw look was bolstered by my mentor and trend stylist Milou Ket. Torn edges are now de rigueur in my work. We tear thousands of labels by hand and in exactly the same size; a skill in abundance at Anand Prakash. The distinct pink of the paper is another story for another future post. 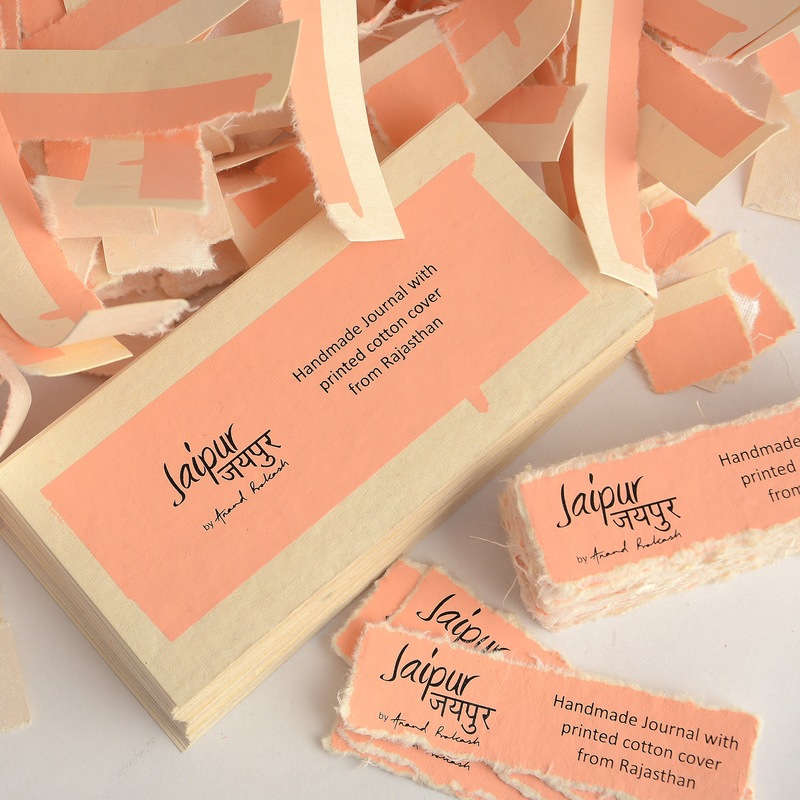 This entry was posted in Whats New and tagged handmade paper, Jaipur, Labels, Packaging, Pink, Pink City, Torn Edges. Bookmark the permalink.